Moto X, Moto G & Moto E are latest Android smartphone from the Motorola – Google Company. 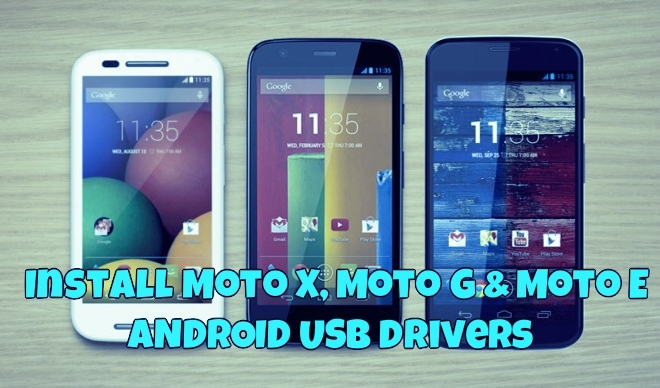 If you recently bought any of these Motorola devices and wanted to connect your phone to the PC or Mac to transfer files between the System and phone, then you need the MotoRola USB Drivers. Without these drivers, you can connect your device to the computer. Not only this, in future if you want to unlock the bootloader of the phone then also you need these drivers. Today, in this guide we will show you how you can install them on your Windows or MAC system, this guide will work on all the latest Motorola Android devices. Windows Vista, Windows 7, Windows 8, Mac OS 10.5.8 Leopard, Mac OS 10.6 Snow Leopard, Mac OS 10.7 Lion, Mac OS 10.8 Mountain Lion. Follow the below mention guide to get started. Step 1. 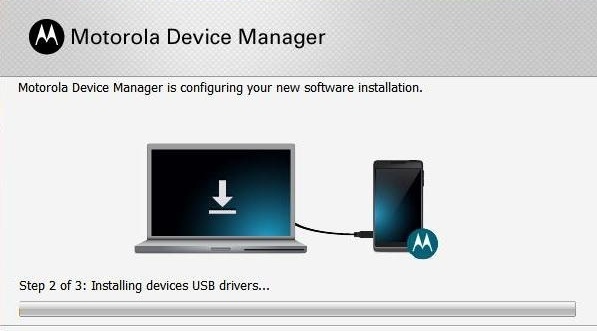 Download the Motorola Device Manager app package form the Motorola website, you can find the direct download link of the installer at the end of this guide. Step 2. Now Run/Execute the driver file on your system. Step 3. Now the installation process will start on your system, follow the on-screen instructions and proceed through the installation process. Step 4. The installation process will take some time Once the process is completed on your system. Reboot your system to finish the installation. Step 5. Connect your Motorola phone/tablet to the computer. Motorola Manager will detect it. Now you can manage all you files between PC and device easily with the help of USB cable. a) From your device’s home screen, touch the Menu button, then touch Settings. b) Touch Developer Options, then turn off USB Debugging if it is turned on. c) Disconnect and reconnect your device to the USB cable. d) After connecting, touch the top of your device’s display and swipe down to pull down the notification bar. Change the USB connection setting to Media Device (MTP). Hi, I follow your process but still my USB is not not working. My mobile is MOTO-E and i am using windows XP with service pack 3. Any help would be appreciable. I tried what you said but the motorola device manager program is already installed on my pc and updated and it still doesn’t recognize the phone, and when I go to “settings” on the phone itself, there’s nothing called “developer options”. @DJGF To enable the Developer option, GO to the Settings >> About Phone >> Tap on Build number 7 to 8 time. After this u will see the developer option on settings. how to connect moto g to pc (win xp) if any softwear please in form all ready i instal motorola device manager but no response seen for (mtp) pl reply.